Image | This entry was posted in brexit, referendum and tagged brexit, referendum. Bookmark the permalink. completely agree. Have already written to my MP and MEP saying that Parliament needs to debate this issue and then vote. 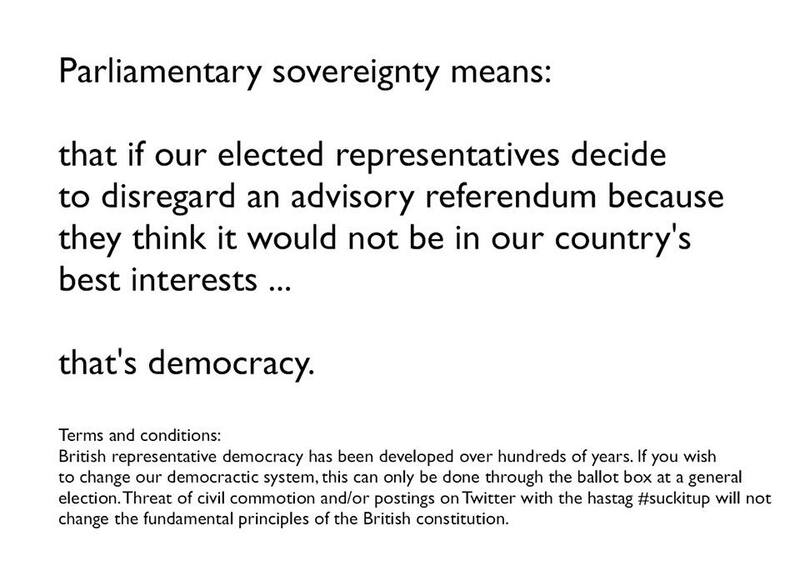 Parliament is sovereign not the goverenment.